My journey to becoming a real estate broker began in a small farming community in southern Ontario, where I quickly learned the value of discipline and hard work. For the past 35 years I have put these attributes to work as a full-time agent dedicated to serving London and surrounding areas. There are many reasons why I enjoy assisting clients with their real estate needs. But most importantly, I feel a great sense of satisfaction from helping people realize their dreams and moving through the major transition that can accompany buying, selling, and relocating to a new home. I am a member of the London and St. Thomas Association of Realtors and the Canadian Real Estate Association. I'm also very proud to be part of Sutton Group Select Realty Inc., the highest performing real estate office in London, where I have consistently achieved Platinum Award status as a top agent. I have also achieved Broker, Relocation Specialist, and Market Value Appraiser certifications during my real estate career. Combined with unsurpassed skills and knowledge from being in this field for so many years, these professional qualifications allow me to offer you a seamless, satisfaction-guaranteed real estate experience. See what my happy clients are saying! I have used Henry on a few occasions when either buying or selling my house. Henry has been serving London for many years and I could tell that he was very knowledgeable in his field. He was always able to answer any question and gave great advice. I never felt pressured but felt like I was represented by someone who had my best interest in mind. I always recommend Henry and will continue to use him in the future. For the last 20 years, we have had Henry as our trusted advisor for all of our personal and business real estate needs. His years of knowledge and straightforward, fact-based analysis have allowed us to make great real estate decisions that have benefitted our family. I would highly recommend him for your real estate needs. Thank you, Henry! Henry was very helpful, a pleasure to deal with and I look forward to working with him in the future. Working with Henry was a comfortable experience. From the initial conversation about my wants and needs in a property to the final walk-through, no question or concern was left unattended. He was also excellent at pointing out benefits and flaws in houses we viewed and found one that fit my needs with opportunity to build equity. I highly recommend using Henry for your next purchase. Henry, I can't thank you enough for making the sale of my home seamless. It was a very emotional and stressful time for me, and you handled it with incredible poise and confidence. I had trust in you and you didn't let me down, and had overwhelmingly wonderful results. You are truly in the right business. We have known Henry for many years and used his services when selling and purchasing our homes on 2 occasions. Henry always gave us the true information on the state of the market, what our expectations should be and the timeline it would fall into. He delivered every time to our complete satisfaction. 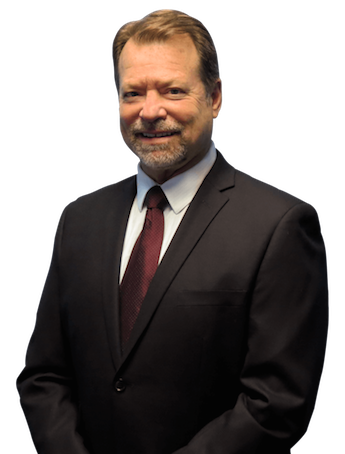 His years in the real estate business has made Henry and invaluable asset to us and we will surely use his services again for any future real estate needs. Over the past 15 years, I have used Henry as my real estate agent for the sale of 2 of my own homes and most recently, my mother's house. I continue to be impressed with his, professionalism, honesty and knowledge of the real estate market. He has always been a pleasure to work with and has achieved excellent results for me with every transaction. I wouldn't hesitate to recommend him to anyone in need of a real estate agent. I would like to Thank Henry Verbakel of Sutton Realty for finding me my dream property. Although this purchase does not close until May, I wanted to share this with everyone before the end of the season! Henry introduced me to LEO Hockey 10 years ago and since then He has sold 2 homes for me and has helped me buy 2 homes, the latter being a beautiful farm just outside the city!!! It is evident that Henry's years of experience in and around London help provide seamless transactions and a worry free feeling in what most people find as a very stressful part of life! Feel free to ask me about the great work Henry does and his financial contributions he makes to the LEO hockey fund. Thanks again Henry !